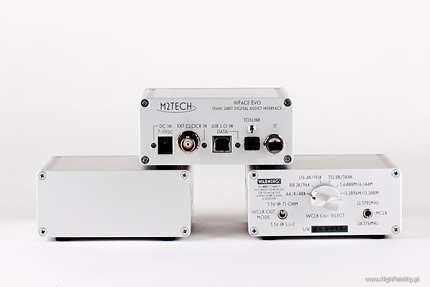 The present review is primarily focused on the hiFace EVO digital-to-digital converter (digital interface), which converts USB signal from the computer into one of the five types of input signal “understandable” to a classic D/A converter: RCA, BNC, TosLink, I2S, AES/EBU ST. Its operation can be further improved by applying the EVO Supply, an external battery power supply and plugging, through the BNC input, the EVO Clock, an external precision master clock. We will also test review these two devices. Auditions, tests, reviews, meetings with computer-related products, audio files, especially high-resolution, still resemble walking through a minefield. It would seem that we already mastered some basic skills and that we know quite a lot and learn quickly. It is common knowledge that one of the worst enemies of the digital signal is jitter, i.e. the lack of precision in the signal timing. Less common is awareness of various types of jitter - correlated and uncorrelated, short- and long-term, and their combinations. But let’s assume that the awareness of this problem is quite satisfactory. However, when it comes to computers, we are usually helpless as babies, because it is the computer geeks, software engineers, IT specialists and other trustworthy, respected people (I say this with absolute conviction) whose voice is most important and significant here. And what they say is that in the computer realm the vast majority of our concerns about digital audio systems is not applicable. And it is difficult to discuss with them at the meta-level, because according to the theory that is commonly accepted both in academic circles (in terms of pure theory) and engineering (let’s called it applied theory), the computer is an ideal sound source, and USB is the best possible interface. Computing capabilities seem almost endless here, at least in the context of the CD player, and USB transmission bandwidth “precludes” any problems. This, they say, is the sound source of the “pure” form, the perfect source. Except that in this case theory does not meet practice, at least not in perfectionist terms that we deal with in the audio industry. Because as a result of our sensory experiments we – audiophiles, in other words thinking and practicing scientists, engineers and end users – managed to identify some areas where there seems to be a need to verify the computer world operating theory. I'm not saying here that it needs to be overthrow – absolutely not! I mean something that is normal in every field of science, namely innovation and understanding shifts that do not change basic assumptions, yet significantly affect the results. What we already know is that the computer is one of the most difficult to master digital signal sources (players). Its computing power is actually the least important component, and what gains importance are methods of internal signal transmission, its treatment, management, power management, etc. The problems are many. It can be plainly seen in case of the software player JPLAY. The program beats world records of popularity (in audio circles), wins multiple awards, is warmly discussed by the biggest audio magazine, etc. How did it happen that two enthusiasts - Marcin Ostapowicz and Josef Piri – came up with something that easily beats products from well known, recognized software companies, developing this type of software player for many years? The answer is very simple: they questioned everything that appeared to be certain and one by one addressed the sources of problems. And these at first often seemed illogical and without sense. And yet, their elimination has changed sound for the better. It was a simply imagination exercise. The computer is one thing, and the other is what happens with the signal once it leaves the computer. Now it’s a different game. The computer guys have less to say here; it’s the engineers that have their say. However, as usual, most of them are mistaken, resting on theoretical knowledge and their beliefs. I am almost sure that none of the critics of the solutions adopted in the audio world, repeatedly re-examined, discarded, confirmed, and challenged again, did not carry out such tests himself. And in reality he is either misinformed or - even worse - ignorant. Grrr... As it has long been known, USB is a very primitive way of audio transmission, very difficult to master. USB cables can dramatically change the sound. 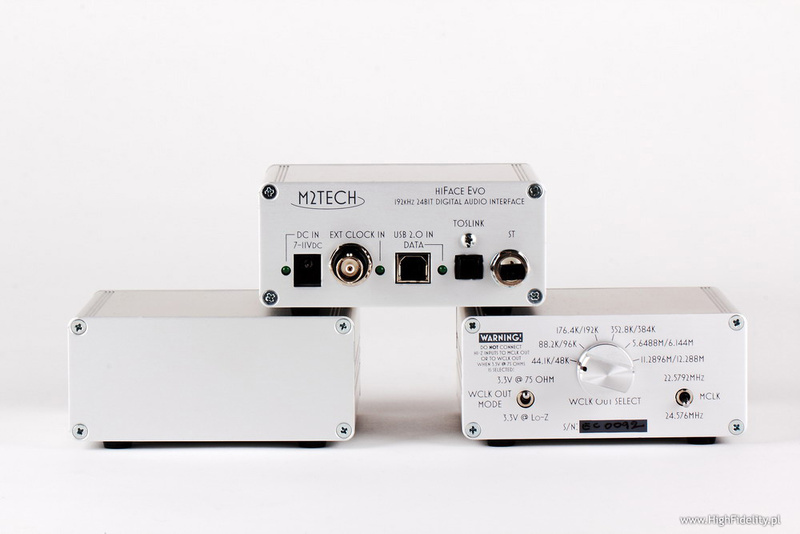 The way how DAC receives the USB signal (adaptive or asynchronous) defines the obtained results. And, finally, USB devices abide by exactly the same rules as any other digital audio device. 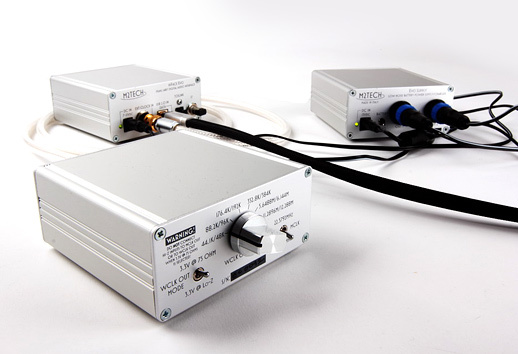 That includes jitter as well as power supply quality. And so we come to the subject of this review. 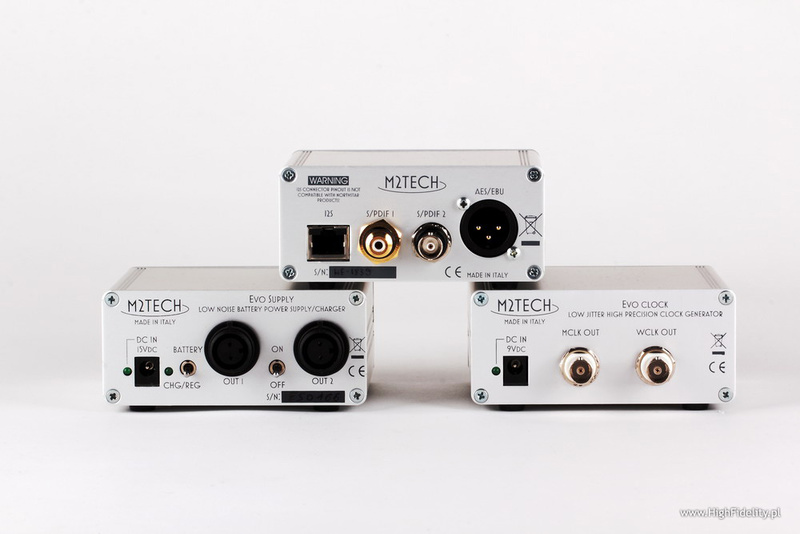 The Italian company M2TECH have been offering for several years their own solutions dedicated to both USB to S/PDIF signal conversion (the popular hiFace) and its decoding (D/A). This time we will have a look at the hiFace EVO D/D converter, and certain solutions that can improve its sound. Kankawa, Dear Myself [z:] Kankawa, Organist, T-TOC Records, UMVD-0001-0004, Ultimate Master Vinyl, 24/192 WAV; review HERE. Nosowska, Kto? [z:] Nosowska, 8, Supersam Music, SM 01, WAV, rip z CD; review HERE. As you can read in the section on test review methodology, i.e. the description of the method of its preparation and implementation, I mainly compared the Italian converter against the very successful, in my opinion, asynchronous 24/192 input of the Wyred4Sound DAC2 D/A converter. As you can read in this review, the solutions adopted by the W4S people proved so successful that the said device input has served me a long time as a reference point for other USB-S/PDIF converters and USB “DACs”. What happened then when I plugged the hiFace converter into DAC2 RCA S/PDIF input? I will come back to this but first I need to return one more time, for a moment, to a more general description. My impression is that over the years of testing CD players, SACD, audio files, I can see changes introduced by successive improvements, new technologies that form a fairly clear pattern. The biggest changes, system changes, affecting the very basis of sound, its structure, have been effected by jitter limiting procedures. The tone of well clocked device is deeper, warmer, fleshier, better differentiated, and just more natural. It’s amazing how dark such tone can be. Until the first cymbal crash, until we hear an instrument with high treble energy, and also a lot of harmonics. Then we get dense treble, correct cymbals’ body and weight, etc. Devices that are worse clocked, with higher jitter, sounds brighter, seemingly more detailed, but only till we compare it with something better. Then a few bars of a music track is enough to spit out that sound and get on with the new. 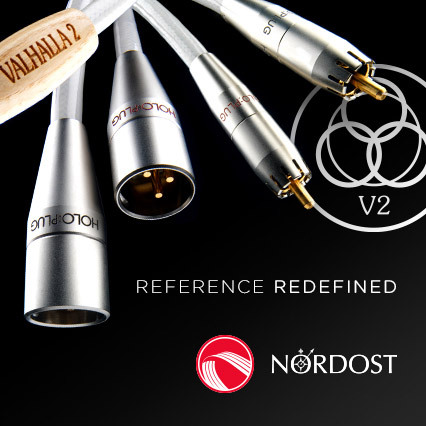 A slightly different change in sound can be brought through power supply improvement. One method is to give up the 230 V/50 Hz mains and use battery. The latter is not without its flaws, but in specific applications it can do much good. We can expect most improvements with micro-signals, resulting in better retrieval of space around acoustic instruments including the acoustic character of the recording venue. The sound is usually a little bit further away from us, but the reason for that is a better presentation of proportions between the instruments, acoustics, and their improved relationship with the listening room. So much for the introduction – so equipped, we will not have to get into details, and the review can be shorter. Hardball: on its own, hiFace EVO converter sounds better than DAC2’s USB input. The tone is deeper, fuller, with much higher energy; it is more tangible and more complete. It was not bad before, but now, in my opinion, the sound from the computer may be better than the digital output of a good CD player (with 16/44.1 CD rips), or than the digital output of file players (24 bit/ 96-192 kHz files). Maybe not better than the top devices, but outside of the elite and down the price list – it can be very competitive. I’m talking here about something that was once associated only with the very best CD players - coherence, depth of sound. Nowadays, we pay less attention to tonal balance, amount of detail, and other components of sound reproduction, and concentrate more on the music, how it affects us, how it evokes emotions in us. Such focus shift from technology to music is a good thing. Without thinking twice I can say that hiFace EVO is the best USB-S/PDIF converter (I have not tested its AES/EBU and I2S outputs) that I have ever had in my system. I think that it is one of the best (but that's just my assumption) USB receivers I know of. Actually it doesn’t put a foot wrong; it does not reduce the dynamics (the most common problem), does not sound anemic (equally common), or simply boring and nondescript. Perfectly captures the sound colors, shades of emotional energy. It won my heart especially with its quality of sound with CD rips. It began with the deep voice of Nosowska in her song Kto. The track was clearly recorded very close, without any anti-pop mic shield, reducing “popping” sounds, i.e. sounds occurring particularly in the pronunciation of the letter ‘p’. This is why we can clearly hear the ‘p’ on this track.